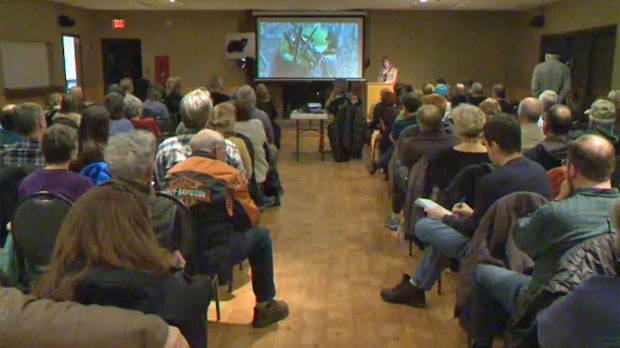 A packed house of approximately 150 people greeted the panelists at Friday night’s public forum at the Redwood Meadows Community Centre but noticeable in their absence at the discussion regarding an injured black bear were representatives of Alberta Environment. The forum, hosted by the Russell’s Privacy Advocacy Group, addressed concerns surrounding the condition of an injured juvenile black bear that had spent months in a field along Highway 22. 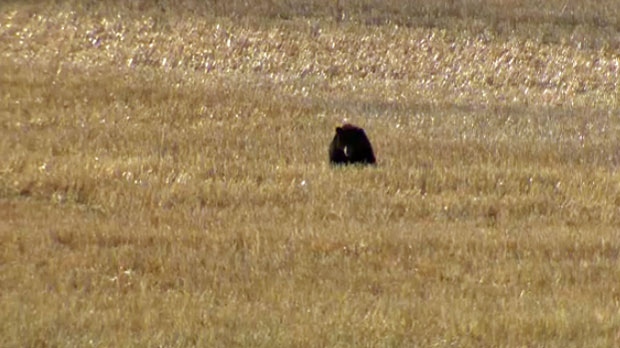 The province has repeatedly stated that intervening could do more harm than good while wildlife groups have pleaded for an opportunity to care for the bear that local children have named Russell. The last sighting of the bear occurred on December 27, 2017 and its uncertain if Russell has died or gone into hibernation. Swann says he was encouraged by the strong turnout at the forum including concerned citizens calling for the government to allow experts to assist Russell. Swann says he has received a petition bearing thousands of signatures calling for a reevaluation of the policy surrounding the banning of the rehabilitation of Schedule A animals in Alberta and he will be presenting that petition to the Legislature.